Can we go back in time? We sure can. Many everyday occurrences transport us through time. The scent of a flower. A song. A pina colada. And a book, of course. 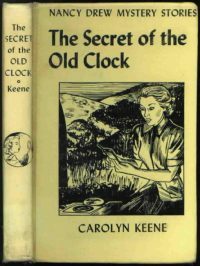 Yesterday, I was nine-years-old again, thanks to reading The Secret of the Old Clock, the first in the Nancy Drew mystery series. I rediscovered what I’d found so endearing and appealing about Nancy. Nancy’s birth in 1930 introduced a new type of female protagonist in the mystery genre. Independent, intelligent, and brave. She scaled walls, fixed boat engines, and sabotaged getaway planes. Never timid or a damsel in distress, Nancy didn’t sit on the sidelines while the action took place. She took action. She accomplished things, which my younger (and slightly older) self found highly appealing. She didn’t just go to summer camp with her friends to hang out and hike or picnic. She went because a piece of a puzzle she was working on could be found in a nearby cabin. While her pals threw horseshoes and played games, Nancy took a motorboat out, by herself, to investigate criminal activity. When the motor conked out on her, she tinkered with it until it worked again. Persistence was her middle name. Nancy embodied strength, will power, integrity, and courage as well. Nothing fazed her. Oh sure, she shed a few tears when the bad guys locked her in the closet of the abandoned cabin, but she immediately stopped and assessed the situation. Not one to waste time, she took control by fashioning a tool to escape. Nothing and no one could hold Nancy down. She was the original calm, cool and collected heroine who was perfectly at home acting alone to take down the bad guys. In fact, her well known lawyer father often turned to her for help instead of the reverse. She showed all us young readers what we were capable of doing. In children’s (and most adult) books pre-Nancy Drew, males led the way, while the females swooned and fretted in the background. As defined by Mark Twain: “Heroine: girl in a book who is saved from drowning by a hero and marries him next week…” A hero, he said, is a person who does impossible things… Nancy defied the female stereotype of her time, turning the old model on her head and creating a refreshing new version. She accomplished all this while acting courteously, thoughtfully, and dressed to the nines. For me, now and then, she was the ultimate role model. 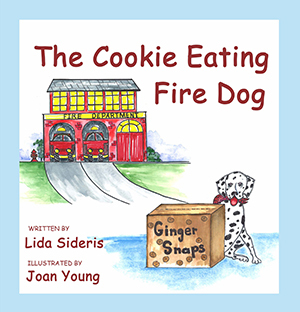 Lida, I read this book first of the Nancy Drew books recently, and I loved it. I think everybody should read Nancy Drew books. They have so much to offer in the way of virtues and doing the right thing, along with an adventure in solving a mystery! Great post! Thank you as always, for your visits, Vicky. I agree – Nancy Drew Books have a lot to offer!